This sleek leather AllSaints tote that's essential for everyday style. 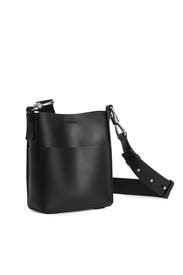 Black smooth leather N/S small crossbody. Magnetic top closure, external slide pockets, and internal pocket. 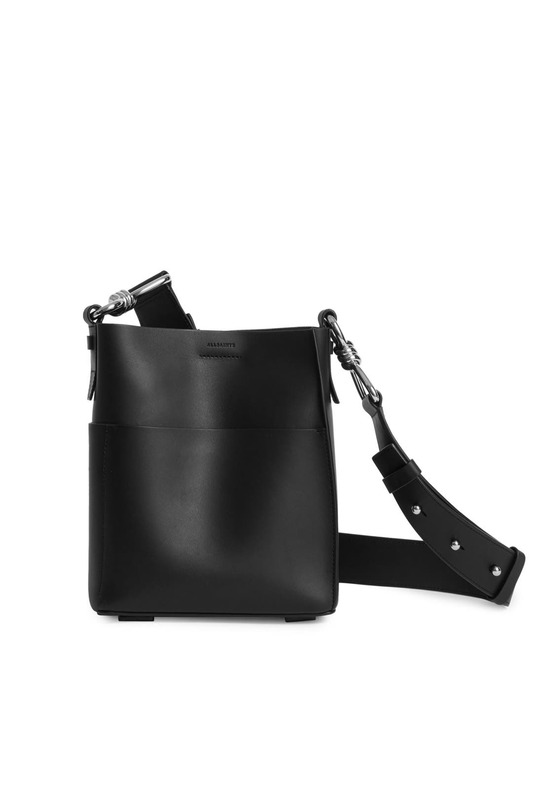 Adjustable crossbody strap. 8.3"H x 7.5"W x 3.15"D.